Mini dental implants are similar but smaller version of the traditional implant. They are used when a smaller implant is needed to fit into a narrow location. This can include procedures that involve front teeth, small teeth, pre-molars or teeth located in a narrow area. Mini dental implants are often used to secure dentures or partial dentures into place and provide stability. 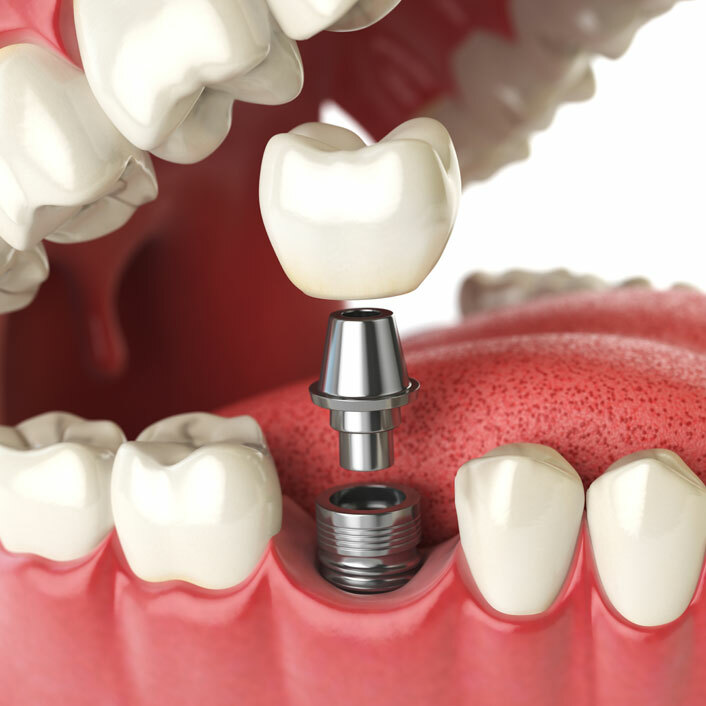 Rather than having a screw hole to attach the denture, these types of implants have a small, ball-shaped portion of the implant onto which the denture securely snaps. We feel that it is important for you to always feel as good as you look. So when we place a dental implant, you can be sure it will feel great, function properly and look terrific. Whether it is a simple or complex procedure, we are the right choice for you.